You can view our comic book previews on the "comics" page, or by clicking the thumbnails below. Don't be scared to explore around. Kick back, relax, and enjoy yourself. If you see anything you like, feel free to spread the word. Haunted: Up In Smoke now available! 3/20/2018: A little while back I wrote a short horror twine titled: The Diary of Jackson Phillips. I sat on it for a few months, not really knowing what to do with it, until I stumbled upon Text Adventures I went ahead and threw my story up there for all to enjoy and now I leave a link to it here, so that all those who stumble across this site can in turn stumble upon text adventures. 6/14/2017: Haunted! 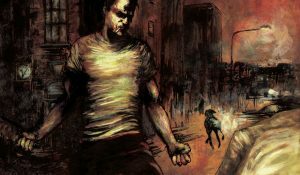 is now available on Comixology! Check it out! Production of Haunted #1 almost complete! 3/30/2017: Throw The Dice Productions is proud to announce that the original comic book series Haunted is complete! 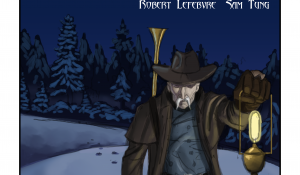 It will soon be ready for distribution on Comixology. A brief series synopsis and preview can be found here. 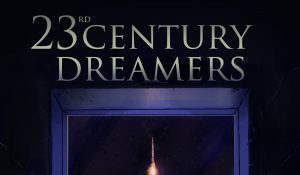 9/23/2016: After a lot of work and fine tuning 23rd Century Dreamers is now here! Brought to you by 215 Ink and available on Comixology it can be viewed here.